Help is at hand if you’re looking for inspiration for creating seasonal wedding favours. Our amazing Woodhall Manor wedding planners have put together some of their favourite ideas for autumnal wedding favours. 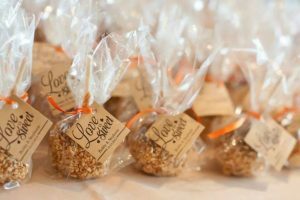 And, many of these can be easily homemade saving you money and adding a personal touch to your wedding celebrations. Autumn is a great season for homegrown produce in the UK so there’s a wonderful opportunity to pop on an apron and get cooking homemade chutney. You’ll find lots of easy recipes online that make the most of everyday ingredients such as apple, pear, parsnip, beetroot, onion and tomato. You can source cheap jam jars in bulk online or be super organised and collect your own. 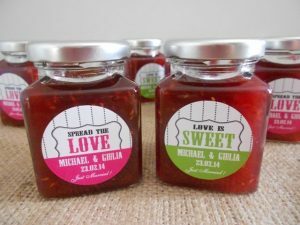 Ask friends and family to donate their old jam jars and you’ll probably find you have enough to provide your guests with a jar each. If they’re big jars, one per couple is fine. Add a personal touch with a handwritten gift tag or label and then decorate with ribbon in a colour that matches your overall theme. 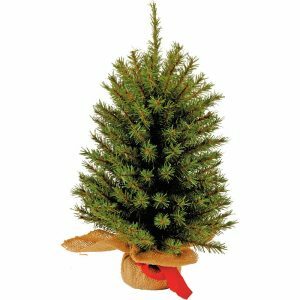 A grow your own Christmas tree kit is a great idea for weddings that are held in the run up to the festive period. Seeds are cheap – you’ll find a pack of 25 Norway Spruce seeds for less than £2 in a garden centre. Then, all you need to do is add a plastic plant pot and give some growing instructions. To make them look festive, you can wrap your pot in hessian and tie with garden twine or ribbon and as a little tongue in cheek offering, why not pop in a bauble for when the tree is fully grown! We think you’ll struggle to find anyone that doesn’t like a toffee apple. It’s the ideal seasonal sweet treat that will be loved by adults and children alike at an autumn wedding. There are windfalls everywhere at this time of year so you’ve got a ready supply of fresh fruit for free! All you need to do is make a big batch of toffee, dip your apples and insert sticks. Once they’ve set, wrap in cellophane and decorate with a gift tag and some ribbon. Look for a printed cellophane or maybe a coloured film that ties into your theme. If your wedding day is around the time of Halloween, then why not create mini lanterns for your guests to take home and keep. Miniature pumpkins are available in supermarkets and farm shops so you can simply scoop out the inners and then add a tealight. If you’re feeling a bit more ambitious, then you could carve patterns in each mini pumpkin too… maybe your wedding date or initials? The best bit about these creative little favours is that they can be used to decorate your venue. Arranged on tables, dotted around windowsills and mantelpieces and on shelves and bookcases they’ll add a wonderful atmosphere with their gentle glow and save you money on larger floral arrangements. A sure-fire winner at all weddings is miniature bottles of booze. These are always hugely popular amongst wedding guests with some not making it past dinner time! 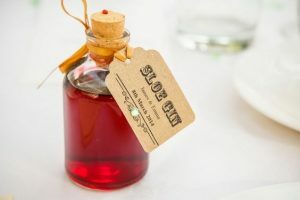 If you’d like to add an autumnal twist, then bottles of sloe gin, blackberry or damson vodka would be perfect. These can be made well in advance and then decanted into miniature bottles and labelled just before your wedding. Why not opt for two different drinks and split between the men and women? Add a little gift label and you’re good to go!